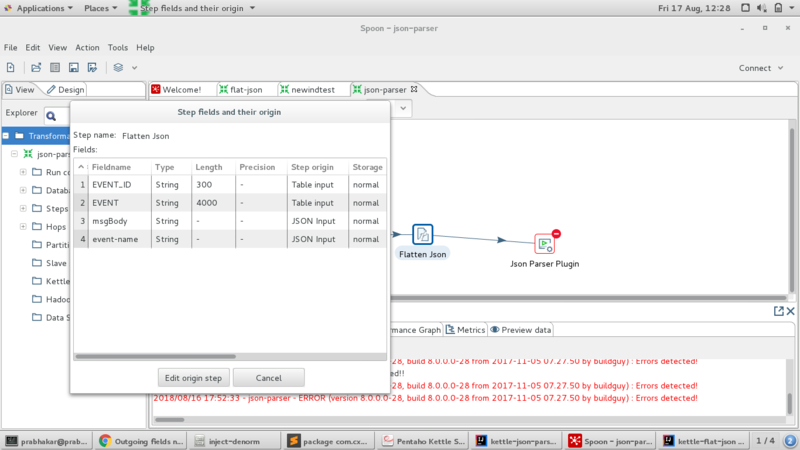 have created a step plugin for pentaho which gives some output fields. It gets 2 Input fields from previous steps add some metadata and output fields . Although output is being sent to next step but when i do right click and click on output fields it only show field and value from previous steps not from the step plugin i created. Below is the Java Code for Meta class. This is the Spoon view of my plugin which doesn't show output fields.